Fresh from surfing, biking (both cruiser bike on the beach boardwalk and fat biking in Big Bear) and touring around, the next stop on my catch the winter wave adventure was in Lake Tahoe! 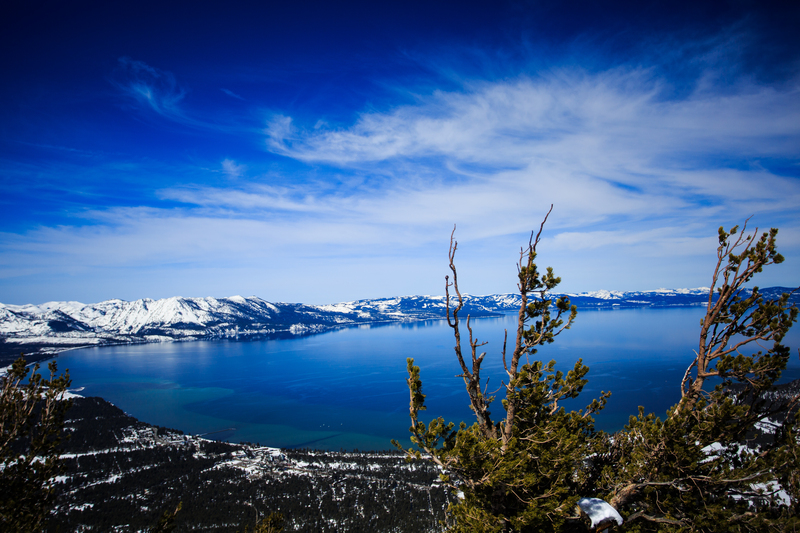 And this season, many mountains are open until July 4th; I read there was a snow storm in Tahoe North three days ago! It’s a short flight (an hour?) 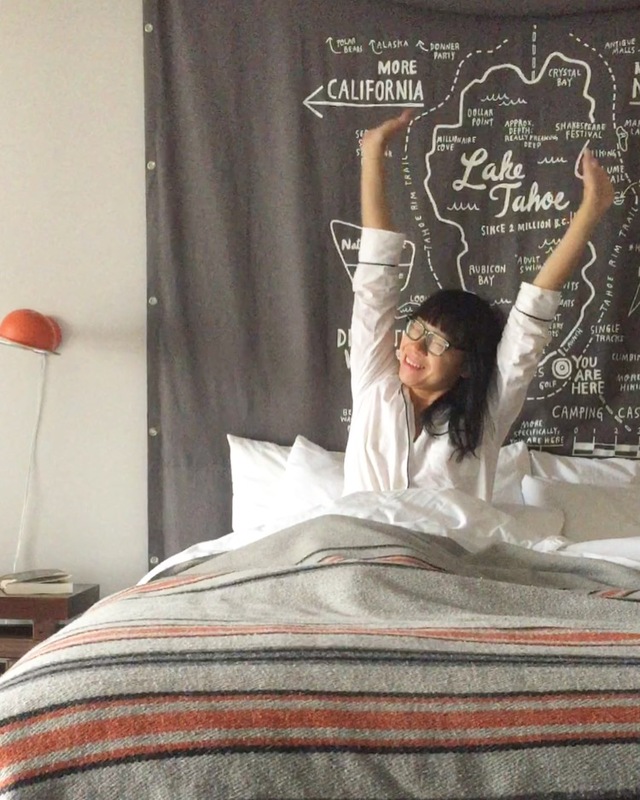 from LAX to Reno/Lake Tahoe and our trip started in South Lake Tahoe. Our group stayed in a few different hotels here; I was at Basecamp Hotel, which I loved. 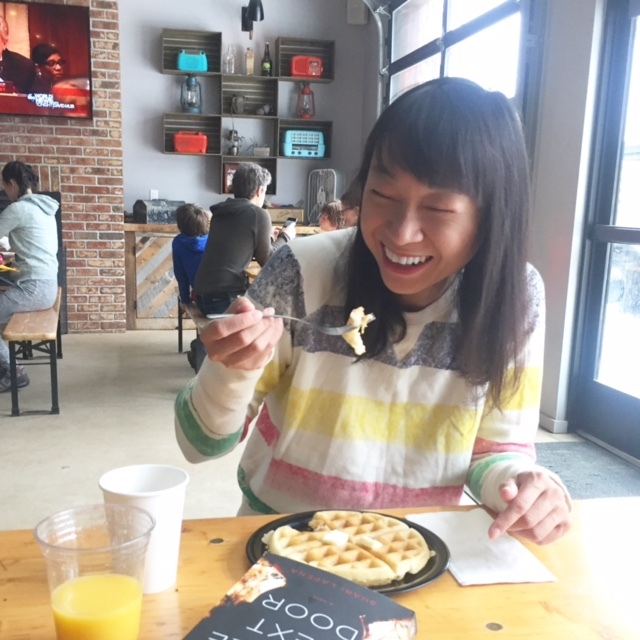 The rooms have a cute hipster-chic aesthetic, and I just knew (and was correct) that the complimentary breakfast would include a DIY waffle station. Plus there’s a large hot tub and beside it is a campfire. And campfire means s’mores! I pretty much felt like I was living my best life as a friend made me a s’more and passed it to me to eat as I lounged in the hot tub after a long day of skiing. Next time, I’d love to stay in their Great Indoors room, that has a tent, fun! It’s basically a 5-10 minute walk across the street to get to Heavenly. I’m a big fan of the Epix Mix app, so was thrilled we were skiing at Heavenly since I’d get to log more vertical feet on my app (yes, I’m a nerd like that). 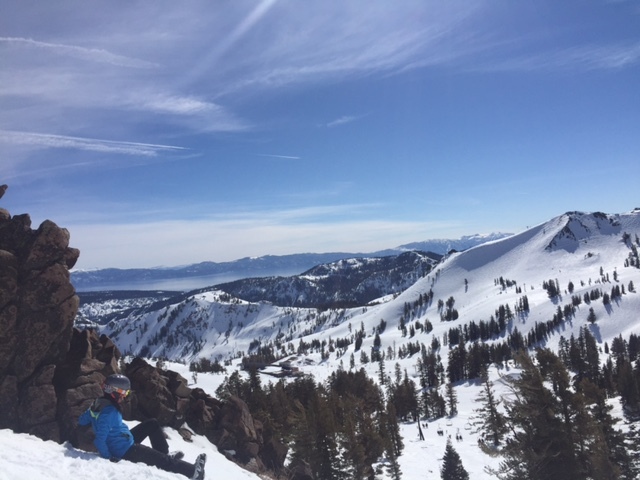 My legs felt a little shaky (and I’d just had two somewhat frustrating ski trips in January to Park City and Panorama — I actually felt like I got worse at skiing those two trips) but after a run or two to loosen up, I really enjoyed the skiing at Heavenly. It never got old to look out into the distance and seeing the silvery glint of Lake Tahoe in the distance; the view taking my breath away every time. 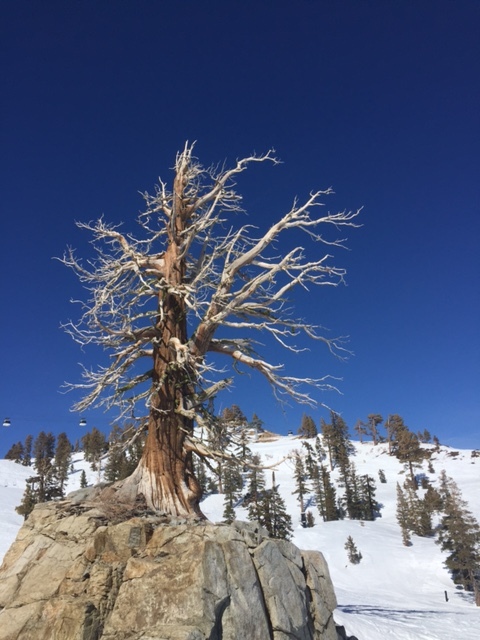 Another favourite thing at Heavenly? I got to meet one of the avalanche dogs, Pete! Our guide for the morning tried to have us meet the dogs in the a.m. but the team was in a meeting at the time, but I made a note of which run and building the dogs are at, and made a point to pop in on my own in the afternoon (i.e. 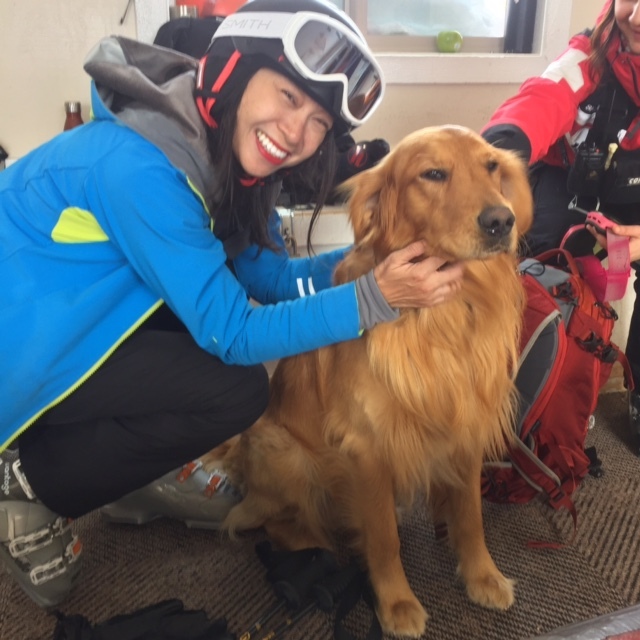 I made everyone I was skiing with wait for 10 minutes as I met this sweetheart). Our second day of skiing was at Sierra at Tahoe. I’d say the runs here felt similar to Heavenly, but because I was feeling more confident with my skiing, I’d say I truly enjoyed the skiing here. Where it’s just challenging enough that it’s still exciting but also with sections on the runs where you just feel like you can take it easy and enjoying that lightness of coasting down the slopes. Plus, I tacked a black diamond run here — I’d done black diamond before a handful of times, but I was pretty proud this time as the super advanced skiers in our group told me that it was not good conditions and that it was quite a difficult run, and I managed to do it without wiping out nor feeling like I couldn’t handle it. I just took my time and stayed calm and collected, while the more advanced skiers I was with patiently and kindly would wait for me to catch up. Another thing that worked in my favour for both days at Heavenly and Sierra? I think the skis I had worked really well for me. I’m not knowledgeable enough about skiing, but a few of the much more advance skiers commented that they seemed just right for me. I know that I felt at ease in them, and what can I say, I liked the red colour of them. As for my favourite meal in South Lake Tahoe was at the BBQ restaurant at Hotel Becket. The meats are smoked on site, and there’s a wide range of appetizers and sides, and both a solid craft brewery and cocktail menu. We had a really large table, so I feel like we ordered practically every dish on the menu, so I got a well-rounded taste test of what the kitchen puts out. After those two days, we moved onto North Lake Tahoe. It was an early start to the day for the drive but despite very much wanting to snooze on the ride, I’m glad I managed to stay awake as the view of the lake as you drive north is stunning. And this actually is my main regret of this trip: that I didn’t have a chance to actually spend time at the lake itself, so I had to make do with gawking over the view on the drive north. Given our busy itinerary there was no time to go to explore the lake (I debated getting up super early for a run, but the timing would’ve been tight based on sunrise, so it wasn’t really an option). 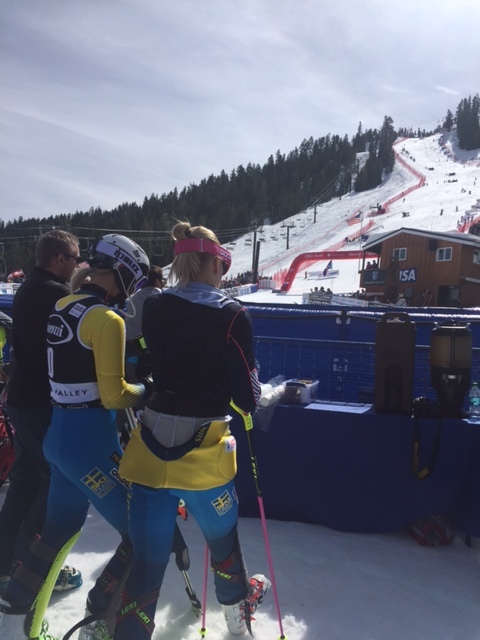 In North Lake Tahoe, we spent two days at Squaw Valley but the first day was focused on watching the FIS World Cup Ladies Slalom. I don’t know much about the sport, but it was exciting to watch these women race in real life. No photos or video were permitted of the race itself, but I got a few of some of the athletes watching the competition after they’d completed their turn. I was raring to go hit those slopes at Squaw, having had time to take in this enormous mountain. I found this to be the most beautiful of the mountains we went to, even though I had thought nothing would top the view of Lake Tahoe from Heavenly. The sheer size of the mountain, the mix of rock faces that would peek through the snow, the huge gnarled tree stump on one run, so many picturesque spots. We were also blessed with such beautiful weather, blue skies and about 20 degrees Celsius. And even though the most knowledgeable skier I know told me that legit skiers don’t strip down to a T-shirt (or girls who just wear a bikini top) when it gets warm enough to ski, I won’t lie that I was mighty tempted to (and still might one day). 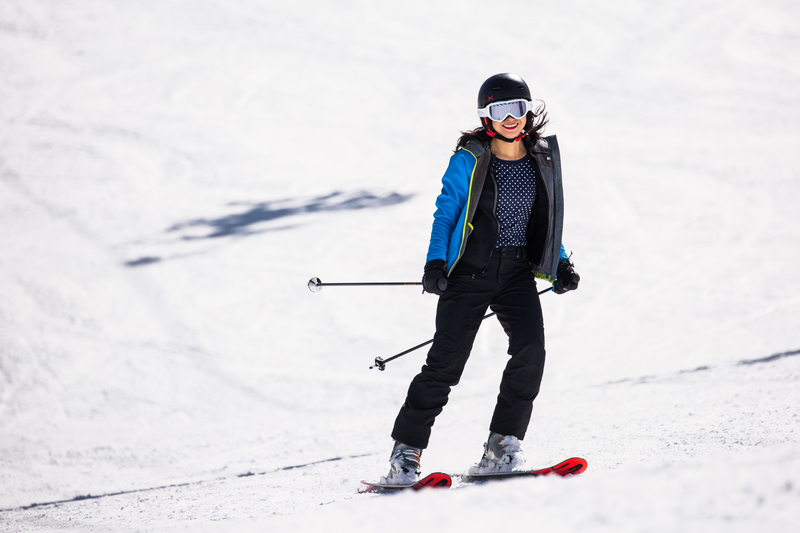 It might not gain me props with legit skiers, but I kind of love the idea of the exhilarating feeling of skiing on snow but in contrast with it being so sunny and warm you can do it in a sports bra or bikini top. Skiing minus cold temperatures is pretty dreamy, and it almost makes me reluctant to go back to skiing in actual cold weather (although I love it too much to not!). In the afternoon, we were paired up with a guide who brought us to some incredible runs. There was one black diamond run that wasn’t busy and hit just the right note of being almost too difficult enough in areas but mixed in with enough sections that felt breezy and carefree. Which was just about the perfect way to end an unforgettable trip that has made California a solid favourite in my books. 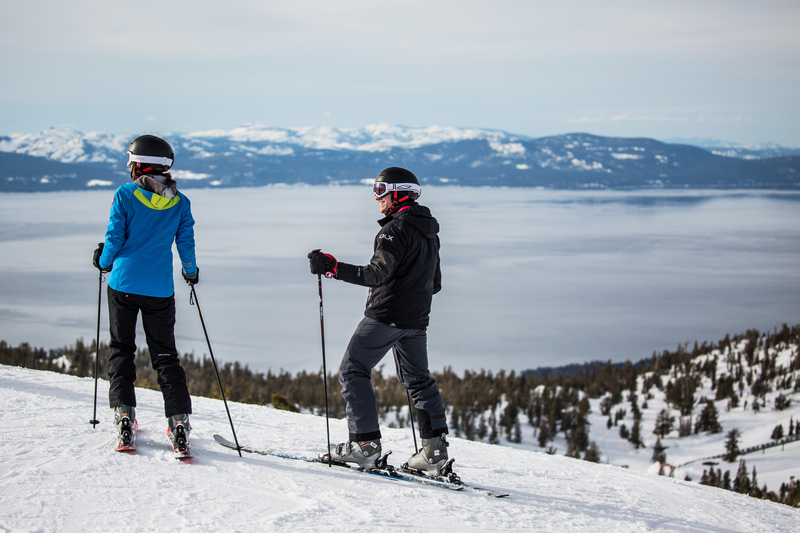 It’s going to be hard to return to skiing in frigid weather after skiing in these incredible conditions–I feel so very fortunate to have had the opportunity to ski in Tahoe. 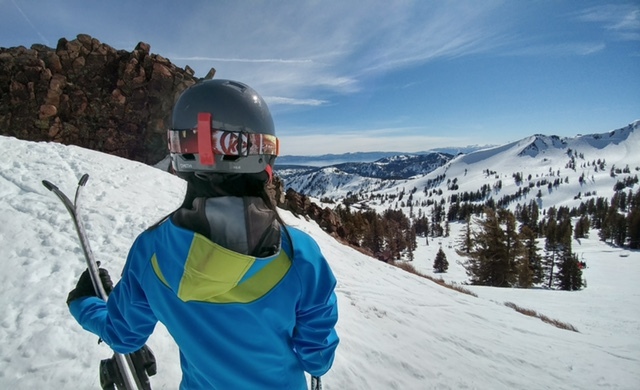 Have you skied here? I’d love to hear about your Tahoe favourites! 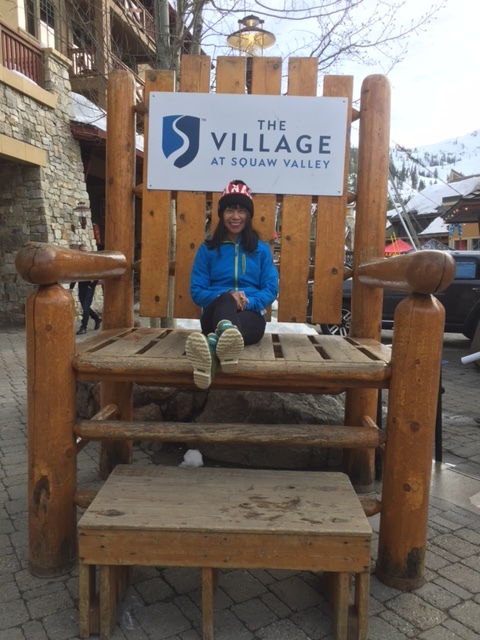 And by the way, if you’re keen on reading the pieces I wrote about this trip, I wrote about Tahoe for VITA Daily, and about both SoCal and Tahoe for Travel & Style.